The scrunchie isn't the only '90s trend enjoying popularity in 2018. The high half-ponytail à la Ariana Grande is back, too! And we love how it can work for any hair length and texture. Can't wait to try it for yourself? Scroll below for major inspo! For an office-appropriate look, pair it with a chic blazer and pearls. And if you have any baby strands sticking out, check out these five ways to tame them. Look party-ready by curling the ends to give it volume, and braid tiny sections of your hair for added flair. For the ultimate ~*cool girl*~ look, apply wax on your locks to make it look clean and sleek. Pop on a pair of tiny shades (Another '90s trend on the rise this year!) and you're good to go! Yup, the high half-pony can also be worn during formal occasions. 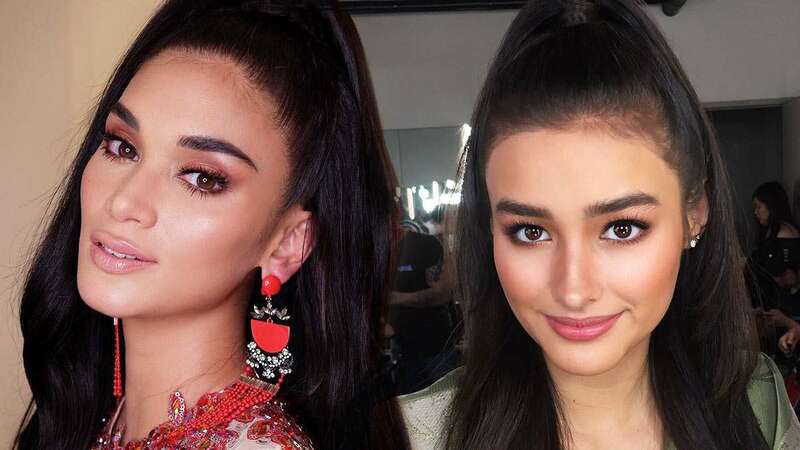 We love how Pia's accessories and makeup complemented the style. As one of the few It girls who first wore the trend, Khloé's curly version is always goals. For lazy days, allow a few pieces of your hair to hang loose and let your baby hairs shine.